TORONTO, ONTARIO, CANADA, November 14, 2018 /EINPresswire.com/ -- Divorce is one of the most traumatizing experiences a family can go through. If the couple cannot work out their differences, sometimes the most appropriate solution is to dissolve the marriage. If you find yourself in this painful situation, it is absolutely essential that you find an attorney who can help you protect you and your family’s well-being. 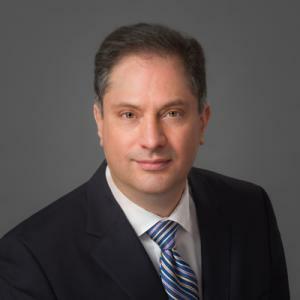 A person such as Anthony Macri, who has been a superior Family law attorney for over 21 years. Anthony’s approach to the practice of law is as unassuming as it is selfless. He unequivocally affirms that when you enter into family litigation it’s very much a partnership and a matter of trust. Separation and divorce is difficult at the best of times and when children are involved extra care has to be brought to the situation. If a parent does not have their child’s best interests at heart, they will not do well and are not the type of client you want. Anthony will absolutely not take cases where the parent is not making their child a priority in the matter. All of us at various times of our life needed some help. That’s why Anthony is always happy to mentor young lawyers as they start their career. Also, in our community, there are always people in need and it’s important to give back to your community. That’s why Anthony volunteers as a cook for a local feed the homeless program. Anthony believes that “no one wins a custody dispute.” The anger and animosity between the parents will always negatively affect the child and in the end you will have a damaged child, and on top of that you will have impoverished parents who have spent all their money on lawyers and other professionals who they have enlisted in their war against the other person their child loves. CUTV News Radio will feature Anthony Macri in an interview with Doug Llewelyn Friday, November 16th at 1:00 p.m. EST and Friday, November 30th at 1 p.m. EST with Jim Masters.